Car shoppers looking for a versatile set of wheels that can provide space for passengers and cargo alike are no doubt drawn to the wide variety of crossover models now available in the market. Unlike SUVs, crossovers can be engaging to drive and easy to park while still making it possible to transport the whole family and then some or move around furniture. Two crossovers getting a lot of attention thanks to class-leading space and features are the 2018 Volkswagen Tiguan and the 2018 Subaru Outback. These models are fairly similar in size and price but have slightly different focuses for different lifestyles. The 2018 VW Tiguan was overhauled for the new model year and now provides one of the most versatile interior spaces of any crossover around thanks to an available third-row seat. This model is great for families of all sizes and makes getting around town enjoyable. The 2018 Outback is also a good choice for around town but makes a great addition to outdoor adventures. Must Finance with VW. w.a.c. The 2018 Volkswagen Tiguan’s interior space is hard to beat after the inclusion of the available third-row seat. Car shoppers who don’t need more than five available seats can choose to forgo the added feature for a larger cargo space with 73.5 cubic feet of available room with seats folded. Adding the available third-row seats will reduce the max available cargo space, but not by much and car shoppers who sometimes need to haul a few extra kiddos will appreciate the two extra seats. The 2018 Subaru Outback interior only has seats for five meaning the extra seats for car pool or family vacations will be unavailable. Anyone interested in the 2018 Volkswagen Tiguan can find models available at the Omaha-based Baxter Volkswagen Omaha dealership. Click the button below for more information or call to set up a test drive today. 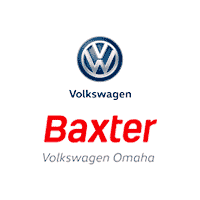 Baxter Volkswagen Omaha	41.2674861, -96.0735336.